IT Project Management: Can You Put a Price Tag on Honesty? 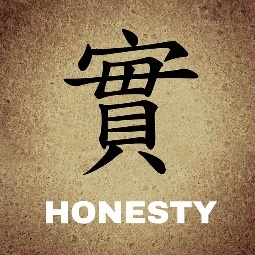 There have been many long and heated discussions about the value of Honesty in business. You have those that believe that by being honest, you lose power, lose control and lose the upper hand. There are others that believe that being honest is the foundation for integrity and the true definition of a respectable business person. Granted, in business there are times when you have to hold your cards close to your vest in order to effectively negotiate a transaction or business deal. There are other times, when not disclosing information can actually harm your business and cost your organization a significant amount of time and money. What falls under the categorization of being honest? Does withholding information fall under the category of being dishonest – based on a lie of omission? Is it dishonest to be precariously optimistic, in hopes that things will get better? What about lying to try and protect the innocent? How can a few well crafted and slightly irregular pieces of information be negative? Project sponsors set the tone and lead by example. If a sponsor withholds or misrepresents information, the success of the project is fundamentally in jeopardy. Project managers are in a similar position, and as such are the foundation by which the rest of the team is built. Each team member is expected to fully disclose what they know, what they worry about, and even what they don’t know. The team as a whole has a symbiotic relationship with each other, trusting in each other’s actions and words in order to be successful. If a project and its team cannot trust in one another, disaster is imminent. Here is a look into a few areas where the value of honesty is priceless to people’s reputations and careers. Scope: How honestly has the scope been set? Has the scope been inflated in an attempt to see how much can be crammed within the time and budget allocated? Resetting expectations as the scope is shrunk to fit within the triple constraint is a very difficult task and weighs heavily on the credibility of the implementation team. Project managers are caught in the middle of a three way tug-of-war between the sponsor, the business and their project team. The tone of the project immediately shifts from excitement and anticipation to disappointment and exasperation. Credibility is lost and blame spins out of control in an attempt to find the source of deception. There are no winners in this scenario and the first cut is the deepest for the reputation of the project. Dates: How honest are the milestones and major deliverable due dates? Often milestone dates are artificially pulled in, to allow a buffer for slippage. Most project professionals will automatically drive themselves to meet a commitment that they believe in. The integrity of the dates is important to the team and important to the overall team’s moral and motivation. Once a manager is labeled as someone that artificially pads dates, they have lost the credibility of their team. Conversely, if project team members give work estimates that are padded, trust is eroded within the team. At that point, all dates are “imaginary”, regardless of reality. Delivering against an illusion of reality is something that only Walt Disney and Pixar can perform. Status: Then there is the honesty of status and project progression. Not every status update is purposefully inaccurate, as there are always unknowns and surprises along the way. The adage that the last 20% takes 80% of the time is an algorithm that causes many project managers to lose sleep on a regular basis. Project managers that have worked with their team before, have the benefit of being able to judge the accuracy of status. A good project manager knows when to challenge and how to validate status to better manage the bigger picture of progression to date. But the greatest untruth is when the project status is misrepresented at the sponsor level. Project managers that cannot be trusted to accurately represent what is happening in the project, will jeopardize their professional reputation; the cost of which extends far beyond the current project. It is hard to understand how the lack of honesty would ever be associated with gaining power or maintaining control; when the cost of deception is calculated by adding up the damage to reputations, the cost of slipped deadlines, and the loss of commitment to a common goal. Forgive my honesty, but I have a reputation to maintain; and so should you. Be the project manager that your organization can believe in; and let the truth begin with you. Janet is Avout’s Delivery Services Partner who focuses on ensuring the overall effectiveness and quality of each engagement. She has over 20 years of project management experience in the IT industry, specializing in Oracle new technology implementations. Follow her on Twitter @JanetDahmen.